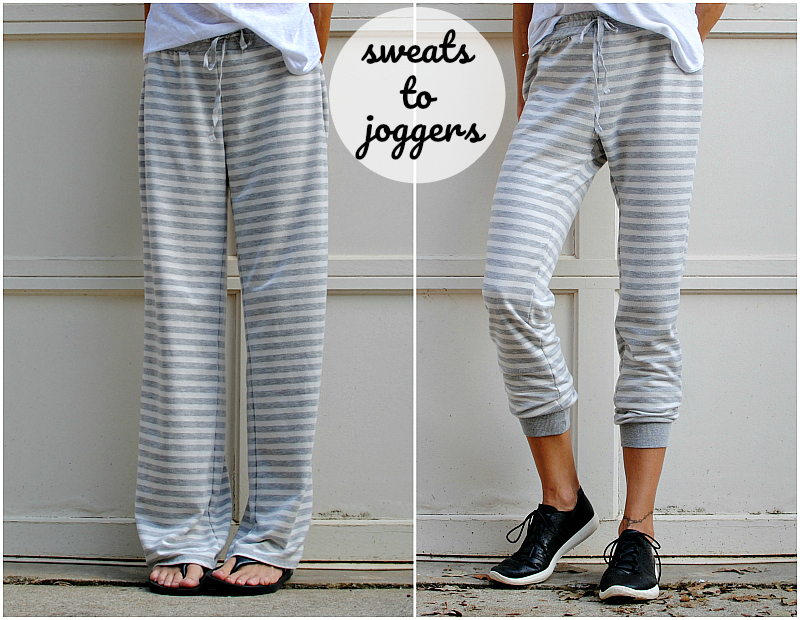 Most people like a comfy pair of pajama bottoms or sweats they can lounge around with but even better if they're cute. I loved this tartan print on my husband's super short pants. He's 6'3 and I'm 5'6 so if they're too short on me then they were midi sweats on him. My family is also part Campbell Clan, and this is almost exactly like our tartan print. Yes we have our own plaid :). So I just did a quick update to these pants and made them into joggers, but I run track so it's track pants for me. It took me a good 5 minutes uninterrupted. I am wearing them as I write this…so comfy and cute. Check out my new Youtube and subscribe for new video tutorials coming soon. Take a pair of pants that fit you and trace. Leave about 1/4 inch from the edge of your silhouette for seam allowance. 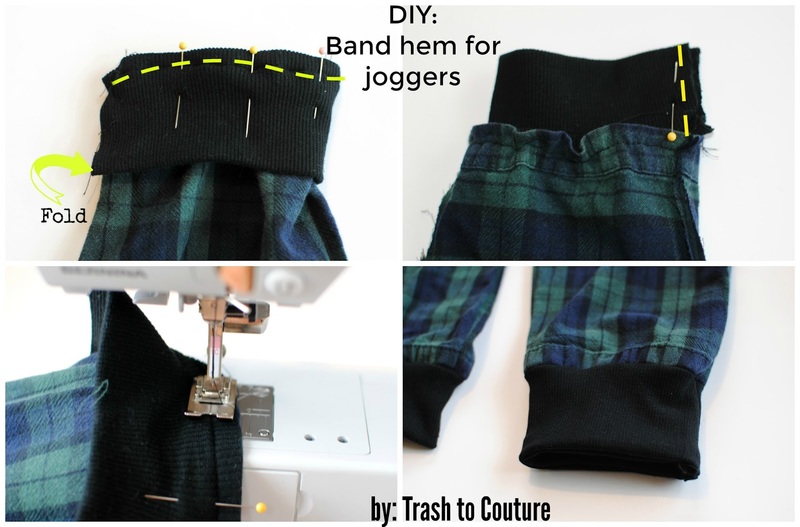 Use ribbing or even an old tshirt for the band hem. Mine was 5 inches wide and length of the hem circumference plus 1/4 inch for sewing the side up. This is a great, trendy way to add length to pants that are a tad short, especially for kids who grow out of clothing so fast. 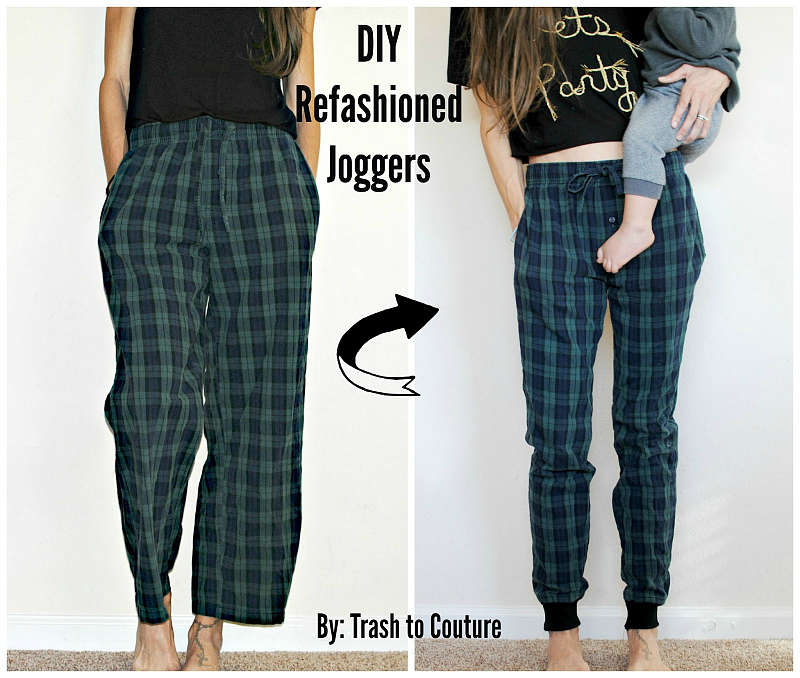 I also did this in the tutorial here for a set of refashioned track pant. Pin the ribbing on the pants starting at the side hem. The folded edge should be up and the cut edges should be sewn along the pant hem. You will sew 3 layers together. Leave 1/4 inch over to sew up the side. As you sew you can tug the ribbing a little to create a bit of pucker. Last, sew up the side seam of the band. I love seeing what you come up with using my tutorials, tag and follow me on TrashtoCouture. The robux generator is used for the free robux generation for the roblox robux game to play free.